Subaru Repair in Orlando | C & G Auto Center Inc.
Subaru is known for its reliability and high level of safety it affords its owners. The auto mechanics at C & G Auto Center, serving the communities of Orlando, Davenport, and beyond, are highly skilled and experienced when it comes to delivering high-quality auto repair service for you and your Subaru. C & G Auto Center delivers high-end service and repairs in a warm, family-friendly environment. They are committed to staying cutting edge in their knowledge and performance, but will never do any work that will put their integrity in question. C & G Auto Center is a family owned and operated auto repair shop that has built a reputation for being the go-to shop for service, but also as a trusted community resource. We are also known for being the place to go with questions like, who is the best lawyer in town. This kind of service shows that we aren’t in it for a quick payoff, but that we are committed to our communities of Orlando and Davenport and to each and every customer who walks through our doors. 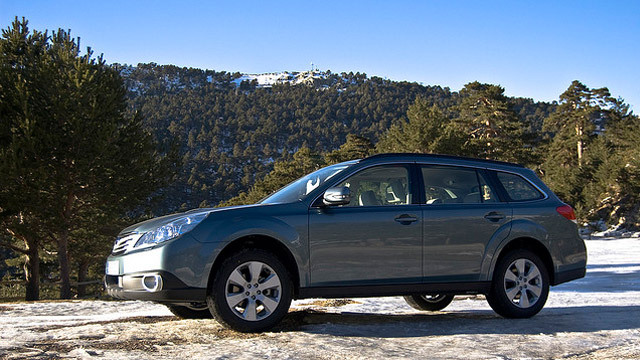 You can trust the auto mechanics at C & G Auto Center to take good care of your Subaru. Subaru owners from Orlando, Davenport, and beyond count on us to deliver the best in service and repair. You can also trust us to care for each individual customer, always putting your safety first. Integrity matters and so do you. We look forward to seeing you and your Subaru soon! Schedule an appointment today, or stop by. C & G Auto Center is located at 4155 W. Oak Ridge Rd., Orlando FL.